Andy, (and Darren) installing the new bird and bat boxes. We will do surveys later in the year to see what they attract. Besides the geology and history of the park, the All Our Stories project wants to tell the ecological story of the land, as it goes hand in hand with the other two subjects. Over the past few years two general ecological survey’s have been done – firstly by Bellway in March 2005, and then by the Wharfedale Naturalists in October 2011. We have therefore started the AOS ecological project by putting together what has already been found out and then deciding what further survey work needs to be done to improve our knowledge of the Park’s development. Both the previous studies point out the different conditions caused by the underlying geology – the lower slopes are much wetter than the top, particularly to the north west, where plant types indicated standing water and impeded drainage. The land to the north of the park is an area of acid grassland, and the land to the south is semi-improved neutral grassland. The Bellway study found that whilst much of the neutral grassland was not ‘species rich’, some of the plants recorded indicate that the land is unlikely to have been ploughed or significantly improved in the past – which would fit with our current knowledge of the Park’s history. The Bellway survey is scant in its coverage of ‘fauna’ merely mentioning the potential for bats in some trees, and lizards in the dry stone wall – and suggesting further survey work is done. The report does, however, acknowledge that local bird records indicate a number of RSPB red list species. We have therefore planned two pieces of work for later on in the year – firstly an entomology survey – to look at the insects, particularly in the light of the new hibernacula. Secondly, further work on a survey of the Park’s butterflies, following the initial survey done in 2012. A bat survey may also be worthwhile, following Bellway’s recommendations, and our newly installed bat boxes. 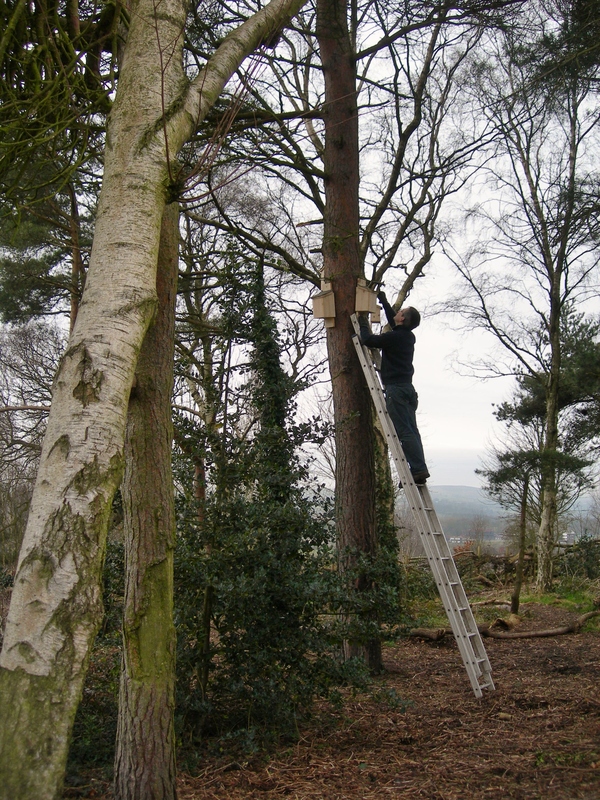 And, Darren will continue with his work looking at the birds who visit the area – particularly those who nest in the new boxes. Reptile surveys are tricky when people are around as the best way is to leave out pieces of roofing felt in undisturbed areas for a month or so and see if any decide to shelter under them. But we can have a look in the dry stone walls for any basking reptiles when the sun is out. This entry was posted in All Our Stories, Ecology. Bookmark the permalink.